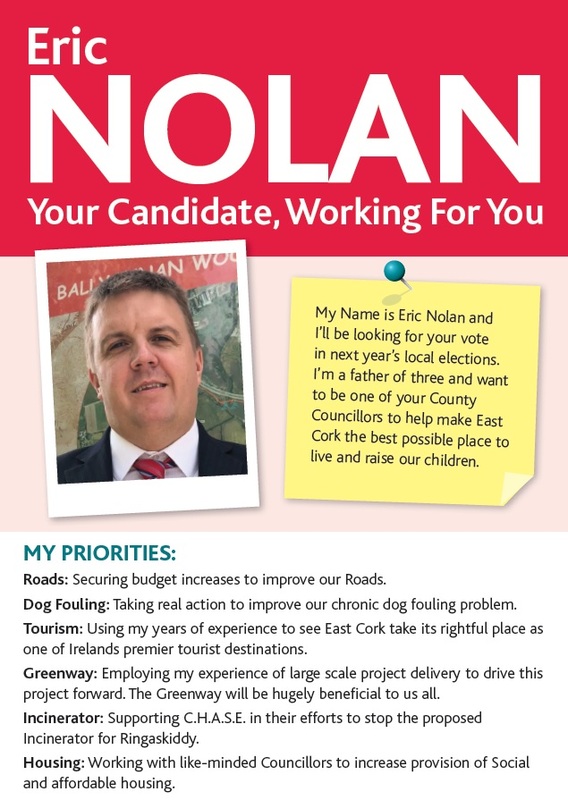 A Leaflet from Dr Rosarii Griffin of Fianna Fail who is running in the Cork East (Midleton) LEA for a seat on Cork County Council. A Leaflet from Ciara Leonardi Roche who is running for The Anti Austerity Alliance in Cork East. A Leaflet from Natasha Harty who is running for The Green Party in Cork East. A leaflet from Pat Buckley who is running for Sinn Fein in Cork East. A flyer from David Stanton who is running for Fine Gael in Cork East. A leaflet for Barbara Ahern who is running for Fianna Fail in Cork East alongside Kevin O’Keefe.